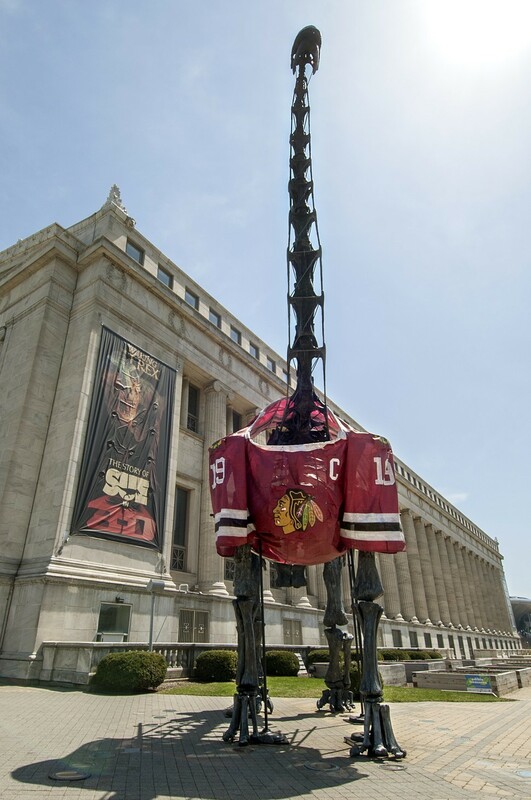 The NHL playoffs don't start till next Tuesday, April 30, but you can't accuse the Field Museum of being unprepared. 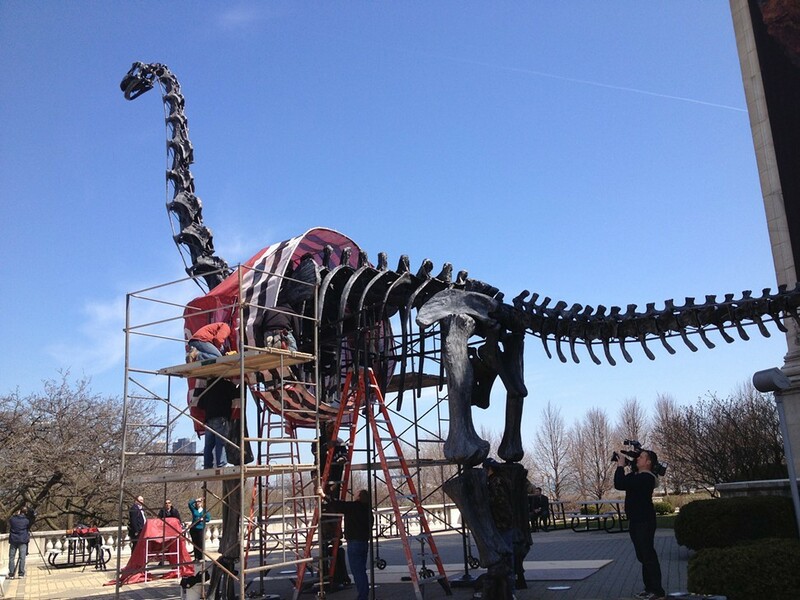 This morning workers arrived to drape the Brachiosaurus near the west entrance in red and black. Number 19, to be specific, in honor of Blackhawks captain Jonathan Toews. Turns out you can't just drape a hockey sweater over a Brachiosaurus. You need a scaffold. If past years are any indication (this is the third time it's suited up; the other years were 2009 and 2010), the Brachiosaurus won't be getting a helmet, stick, or skates. It's too bad. 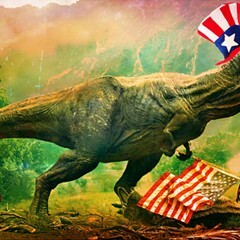 It would have been fun to see it do a face-off with Sue.